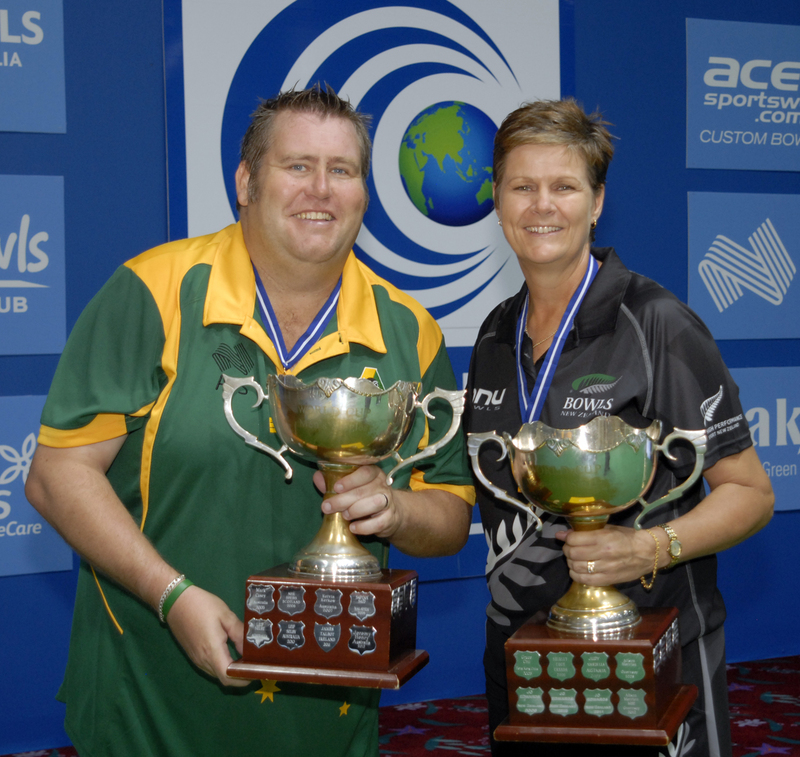 International greats Jeremy Henry and Jo Edwards struck gold in Australia today at the Warilla Bowls & Recreation Club. 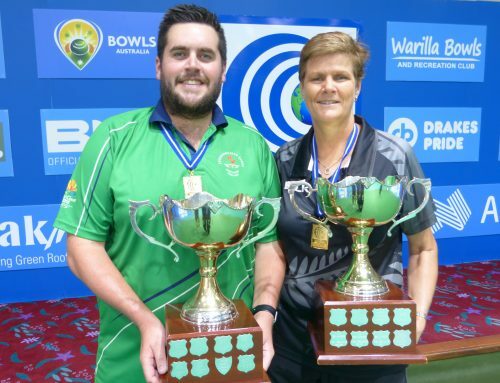 Henry, the adopted Aussie known as ‘Jezza’ to his mates, was the defending champion and defeated young Malaysian star Soufi Rusli in the men’s final, while Edwards clinched the women’s title over a valiant Lucy Beere from Guernsey. It was a fifth World Cup triumph for both, adding to a collection of other world titles they have achieved during their brilliant careers. The hard-fought first set of the men’s final climaxed when the scores were tied at 5-5 with an end to play and Henry played a superb drive to claim the winning shot. 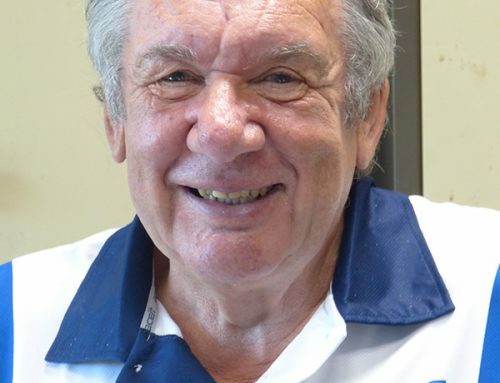 Then, in the second nine-ender, the big former Ireland superstar who now calls Australia home, unleashed his full repertoire to win 11-2 in just seven ends. Despite the loss, Rusli, another of the brilliant young Malaysian stars coming through the ranks, showed he is a force to be reckoned with in the future. He possesses a fine delivery technique while his weight control is outstanding. Watch this space. 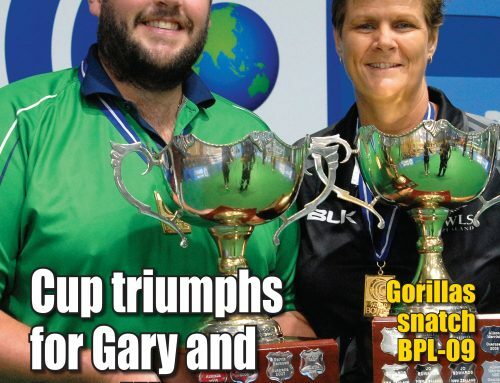 Earlier in the day legendary New Zealander Jo Edwards reaffirmed her mantel as the sport’s number one lady when she annexed a fifth World Cup after an entertaining battle with Guernsey’s plucky Lucy Beere. The rangy Kiwi roared through the first set winning 8-5, but the diminutive Channel Islander turned the tables in the second, only allowing Edwards one scoring end in a sparkling 9-2 match leveller. However, a tardy first tiebreak end saw Edwards pounce and collect three before Beere responded with a fine cannon to garner a single. 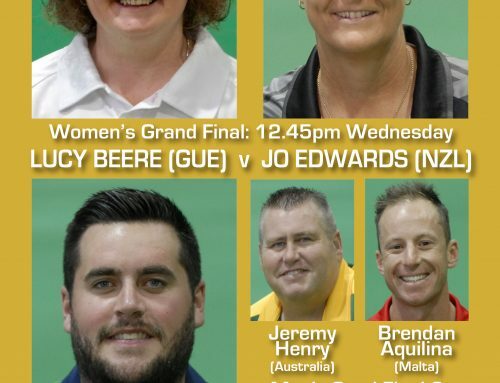 But Edwards – the reigning Commonwealth Games singles gold medallist – applied the coup de grâce in the decider when a courageous Beere conversion threw up an outside chance and she drew the championship-winning shot. The men’s second semi final in the morning saw Rusli outgun New Zealand’s reigning fours world champion Ali Forsyth in a one-sided affair 9-2 11-6. 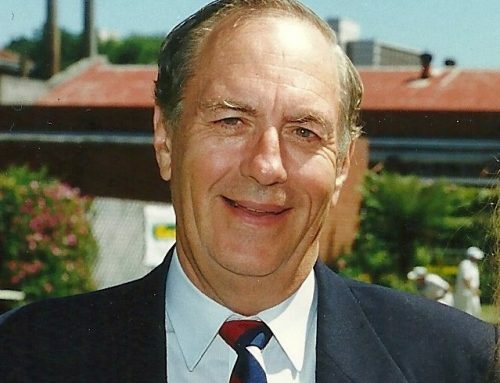 Forsyth had been in dynamite form coming into the play-offs, but had one of his rare poor performances in which he only managed to win three ends – a two on the fifth of the first set, a full house on the fourth in the second and another two on the seventh. This year’s World Cup takes pundits back to 2013 when Edwards won her fourth and Henry his second. Now they covet five crowns apiece. Men: Semi final: Soufi Rusli (MAS) bt Ali Forsyth (NZL) 9-2 11-6. Final: Jeremy Henry (AUS) bt Rusli 6-5 11-2. Photo: Newly-crowned World Cup champions Jeremy Henry and Jo Edwards.